The Orbea Oiz was designed from the ground up to be as capable and efficient as possible. Originally built around the 26” wheel platform, the Oiz has adapted Orbea’s BWC (Big Wheel Concept) by offering 27.5” (650b) models in size small and medium. This method considers the rider’s height and riding style when sizing the bike - avoiding improperly sizing a bike in an attempt to compensate for an ill-matched wheel size. 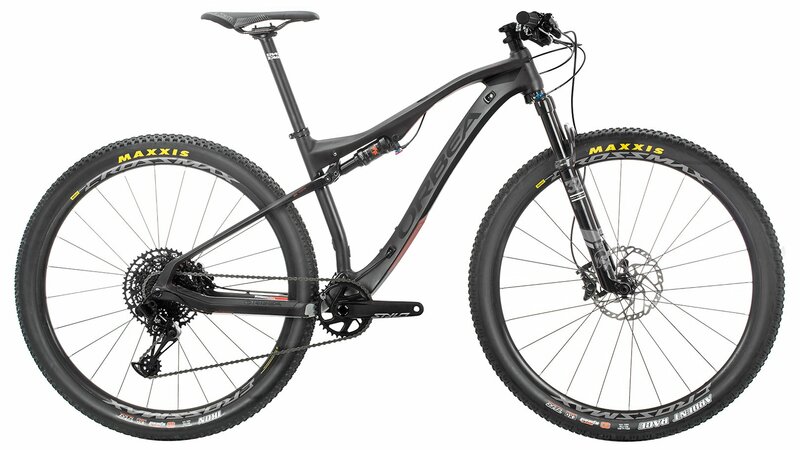 The Oiz M-50 is the “best bang for your buck” bike in the Oiz lineup. It features a host of components that are intended to help you push your riding and stand atop a podium. The SRAM NX Eagle drivetrain sports a huge gear range that allows you to tackle the steepest climbs, charge the flat sections, and mash the downhills. Mavic wheels are not only lightweight, but also demonstrate a level of durability that is made to withstand the rigors of cross country racing. The Fox Performance fork and shock feature 100mm of travel that makes easy work of trail chatter while also sucking up some of the larger hits. When it comes time to slow things down, Shimano hydraulic disc brakes get the job done with confidence in all conditions. Top it off with an Orbea/Race Face cockpit and you have pure race machine that is ready to take you to the next level. OMR carbon fiber frame is light, stiff, and built for racing. 29” wheels maintains a high rolling speed and easily rolls over obstacles. NX Eagle 12-speed drivetrain provides an ultra-wide gear range for the steepest climbs . What width tire will fit on the rear without being too tight? Anything larger than the 2.2?